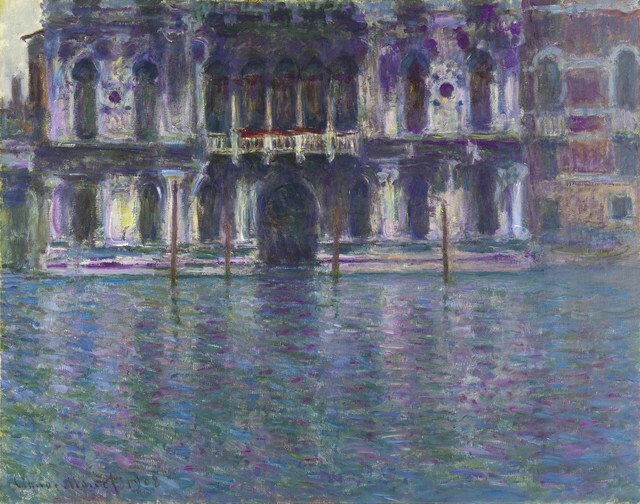 June | 2014 | "A Place for Learning"
Claude Monet’s painting of a Venetian palazzo, “Le Palais Contarini” , dating from 1908, sold for $30.5 million at Sotheby’s this past week. 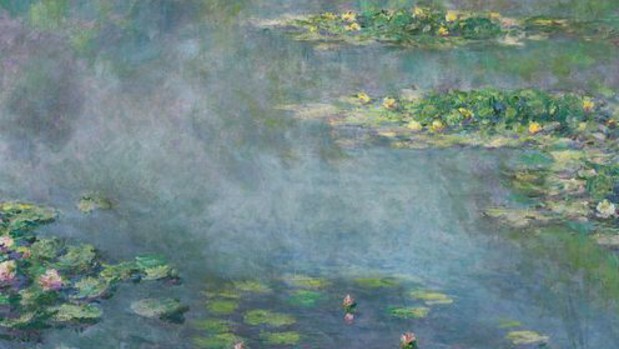 And it was a bargain compared to the iconic 1906 painting of water lilies, “Nympheas” that sold for $54 million becoming the top sale at the recent auction. Inspired by the lily pond in his garden at Giverny, the work was the second-highest price for a Monet at auction. Read more about the recent sale here. The first painting posted on my blog over 7 years ago. 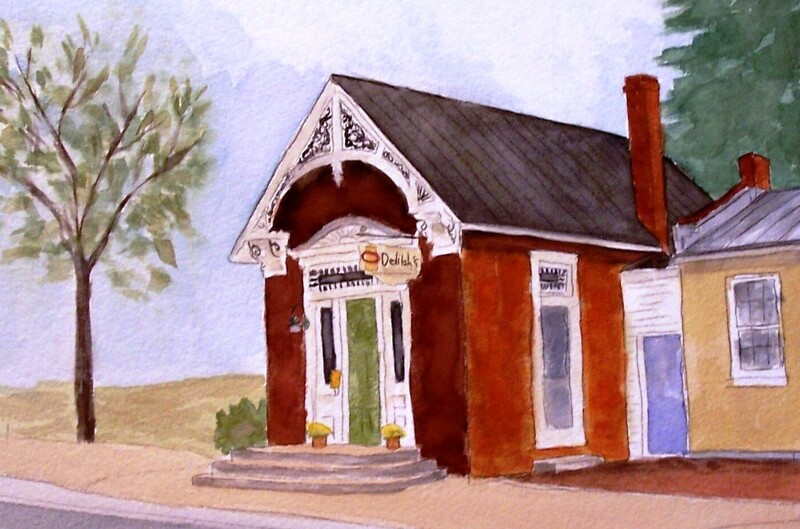 Seven years ago Delilah’s Art & Gift Shop was opened on East Main Street in Front Royal by three friends who loved art (and shopping). 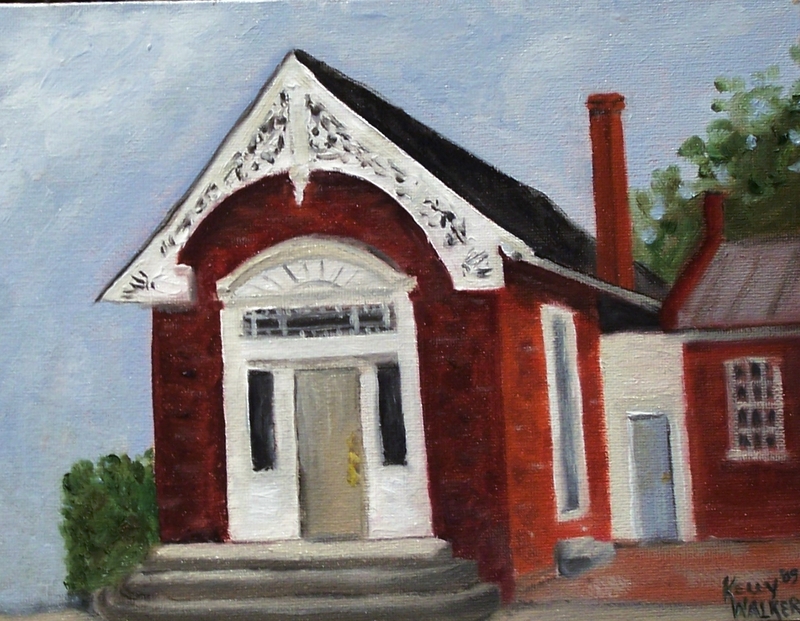 Over the years it was converted to a little artist co-op and featured art and fine crafts by local artists. It has been a wonderful little shop for local friends to meet and chat as well as a place to find unique, handmade items as well as fine art. 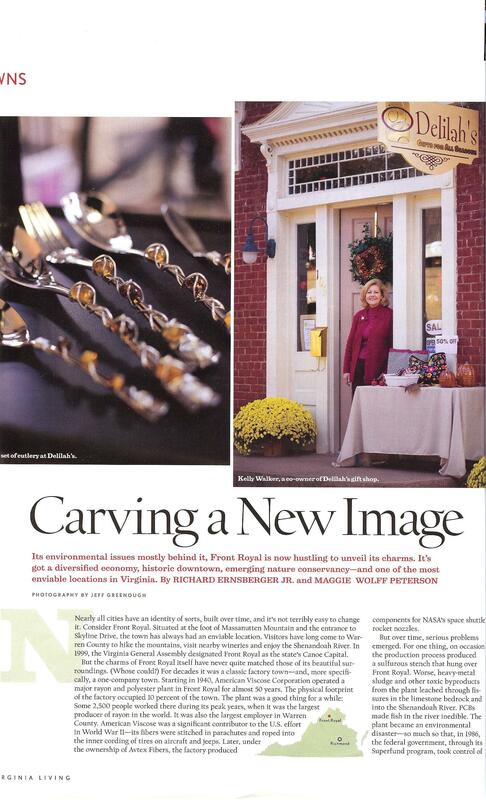 We loved that we were featured in Virginia Living Magazine. And that last year we were named by the Northern Virginia Daily as the Best Unique Gift Shop. Many, many thanks. But today we will close Delilah’s door for the final time. It is bittersweet. It has been a wonderful experience working with some terrific artists and seeing their brilliant creations. I have loved meeting so many people who have shopped with us at Delilah’s. I especially loved talking with the many out-of-town visitors who have come to the shop and shared their splendid travel experiences. It has been delightful! As a good friend reminded me yesterday, “when one door closes, another one opens”, and that is exactly what is happening now. As Delilah’s closes it’s doors it will only be closed for a short time. We are announcing the Grand Opening of a new venture, The Studio – A Place for Learning! The Studio exists to create opportunities for community members to explore fine arts, crafts and other areas of personal development in a casual and recreational environment. Classes and workshops will be offered for a variety of skill levels ranging from the absolute beginner exploring a new craft to the experienced and seasoned artist or craftsman. The Studio is available for people of all abilities to explore and create. The space is available for rent for small groups whether for workshops, classes or parties at a very reasonable rate. Our ultimate goal is to help people overcome potential fears and discover their innate creativity by trying something new. Put Friday, August 1st on your calendar. That will be the day of the Grand Opening of The Studio. We are planning many great activities that day for you to experience what we will be offering….and that day it will all be free. We hope you will embrace our new venture as you did Delilah’s. We are truly grateful for the support you have given us all these years! The next 1st Saturday Paint Party is July 5th at 3 pm. 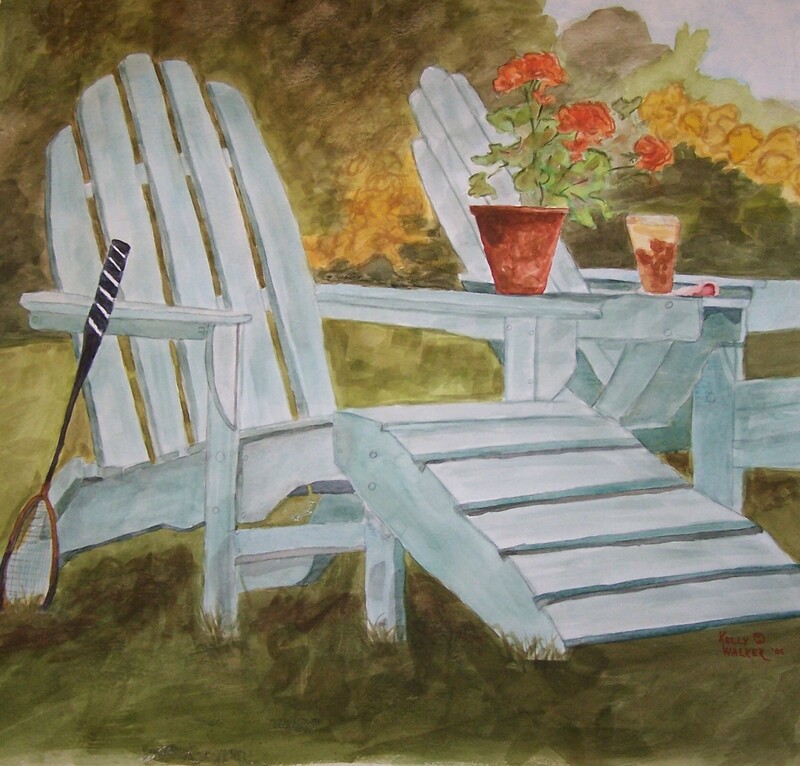 To celebrate the summer let’s paint some Adirondack chairs! 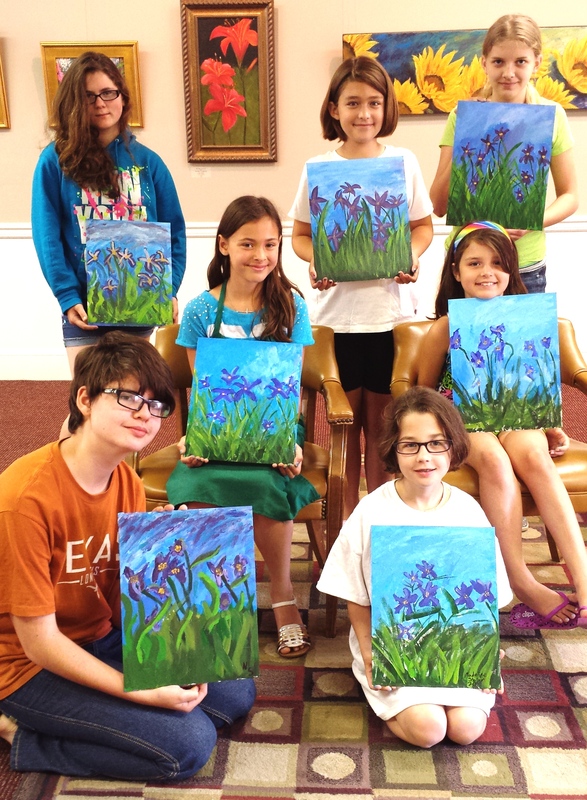 Be sure to reserve your space to paint this wonderful summer scene. We may decide to put our chairs on a beach….or if a lake is your preference we can paint it with this nice background. 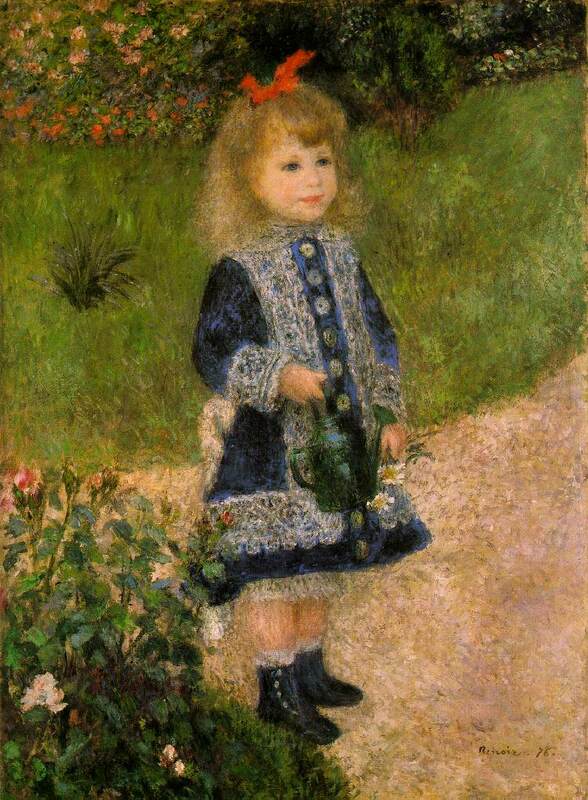 The first session of Art Camp ended yesterday with the young painters completing a beautiful copy of Pierre-Auguste Renoir’s, (1841-1919) “Girl with a Watering Can” , painted in 1876 and now at the National Gallery of Art, Washington DC. These artists were not deterred by the large size we decided to paint our “masterpiece” and they all did extraordinary work. Great job girls! It was a pleasure painting with you this week. 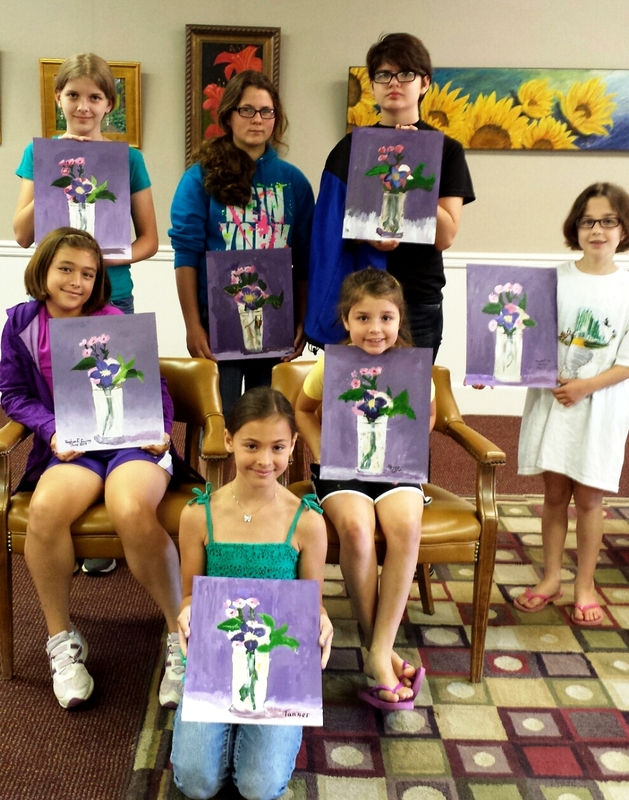 Art Camp yesterday had us painting our version of Claude Monet’s , (1840-1926) “Lilac Irises”, painted in 1914-17. 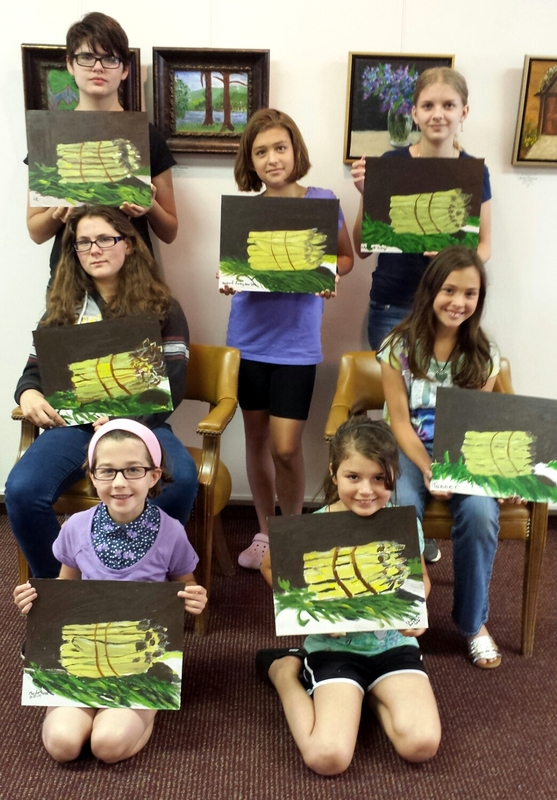 The young artists made terrific renditions of Monet’s work. He would be proud! We continued to study Manet at Art Camp yesterday. This time it was his still life – Asparagus. 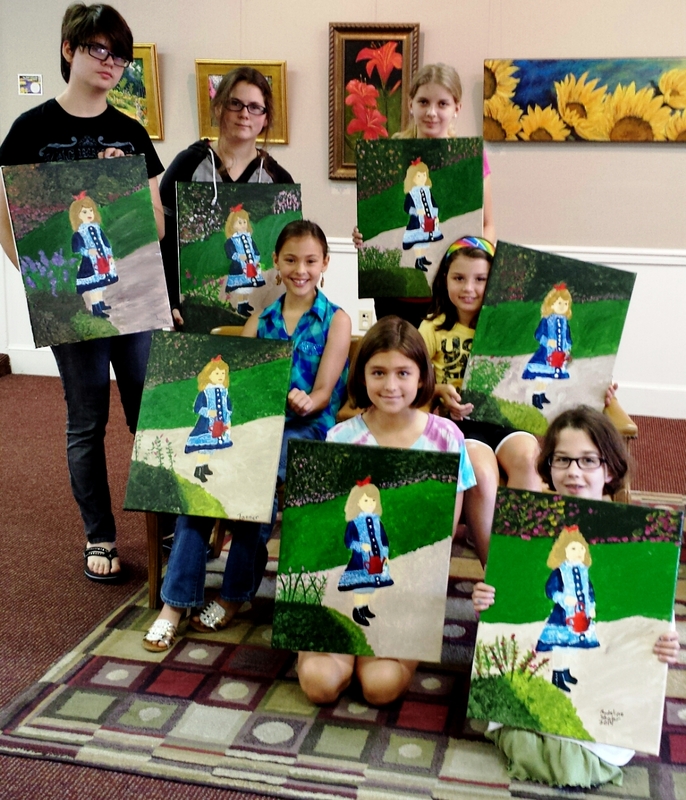 The young artists made it look easy as they created their versions of Manet’s original. Yesterday we had the first day of Art Camp. 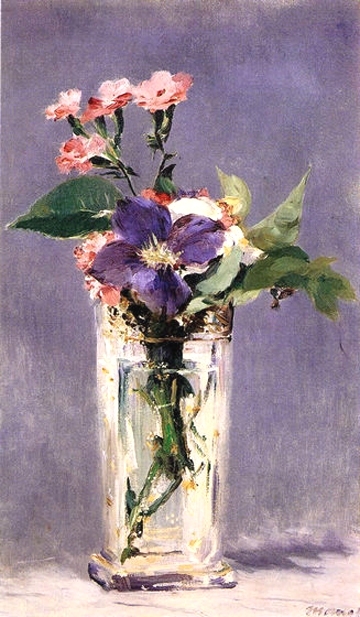 With 7 fabulous young artists working hard all morning they created their version of Edouard Manet’s (1832-1883) “Pinks and Clematis in a Crystal Vase”, oil on canvas 22″x14″, painted in 1882 in Paris and currently on display at Musée d’Orsay, Paris, France. I think their versions look GREAT! How about you?